The Stony Brook University Sailing Team in Stony Brook, NY qualified for their Conference Championship, the War Memorial Regatta, during the Middle Atlantic Intercollegiate Racing Association’s (MAISA) Central Fall Qualifier, hosted by Ocean County College at the Toms River Yacht Club in Toms River, NJ the weekend of September 23 & 24. The War Memorial Regatta represents the top 18 teams in the MAISA and this is the first time that the Seawolves have qualified in their seven-year history. “We had come so very close to qualifying – within a few points – over the last few years and we came to OCC determined to make the War this fall,” said SBU Coach Geoff Loffredo. Stony Brook had to finish in the top four teams to qualify and thanks to strong performances by senior Vidar Minkovsky and sophomore Jeremy McCauley in their A-Division team and junior Nicholas Manfredi and senior Samantha Zito in their B-Division team, they had made Seawolves history. Minkovsky and McCauley put together a consistent scoreline, highlighted by a first place finish in race 2, while Manfredi and Zito finished in the top five in 6 out of the 10 races. The final qualifying spot came down to a very close contest between SBU and Stevens Institute of Technology. Going into the final B-Division race, SBU was only 2 points ahead with Stevens closing in. In a nailbiter under light and shifty conditions, Manfredi and Zito trailed Stevens by one boat after the first two legs. “Making the War Memorial Regatta is a great accomplishment,” said Coach Loffredo, “and our hard work has been paying off as the team gets better and better every year. 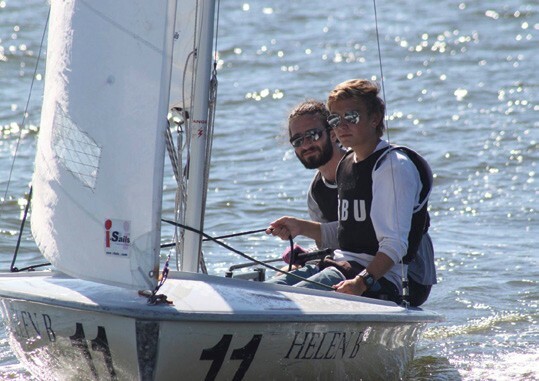 But we plan on making our mark during the Conference Championship this year and beyond.” The War Memorial Regatta was held on the weekend of October 28-29 at Hobart and William Smith Colleges on Seneca Lake in Geneva, NY. To follow the Stony Brook University Sailing team, go to their website at stonybrooksailing.wordpress.com or join their Facebook page at facebook.com/groups/sbusailing. 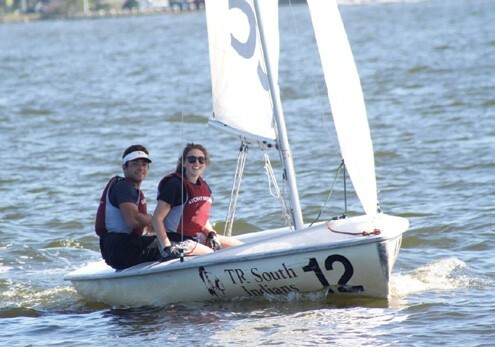 Jason Rose is the SUNY Stony Brook Sailing Team Faculty Advisor and a lecturer in Political Science at SUNY Stony Brook.